Without a doubt this was the one thing in the entire army I was dreading painting. 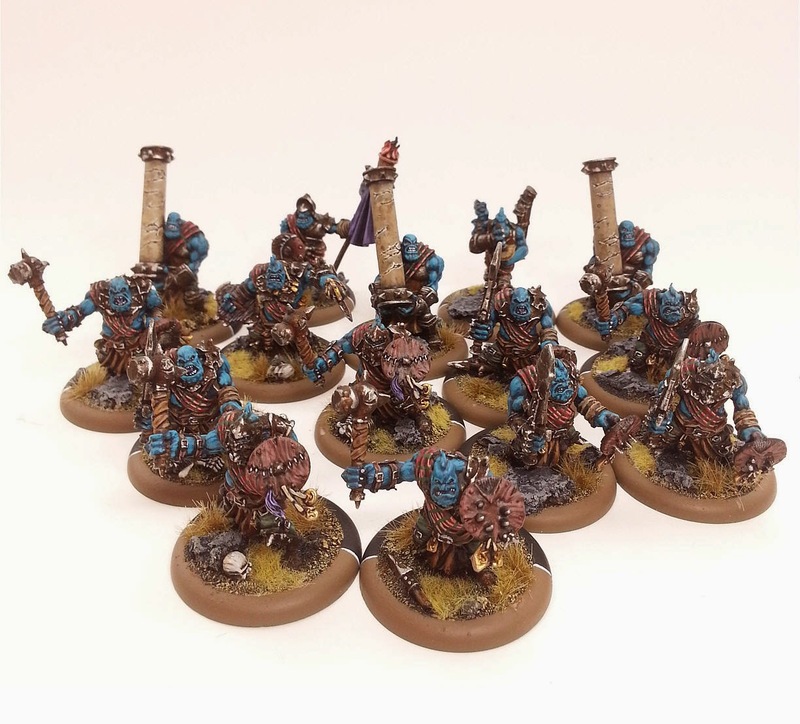 15 models of old troll badness lol. It took me about a month to a month and a half of working on and off on this unit to FINALLY get it done. Figures that as I came close to finishing it PP goes ahead and releases a one box, totally complete, PLASTIC set that looks a million times better. Sigh haha. Ah well, they are done and I will never have to paint them again, so that is all that matters.